The Journey from Battle Tested to Family Approved. Here is a picture of Luke, His Father Blaine and 2 sons Braesen and Judah. Photo taken in 2016. Early his youth Luke used to watch his father teach Martial Arts out of their home. Luke’s father, Blaine, had transformed their 2 car garage into his own personal Dojo. While Blaine taught Martial Arts at a local Martial Arts School, he also began teaching from his home. Eventually, he taught only out of their home and Luke couldn't wait to jump in. Blaine would say Luke used to bug him to train but he made me wait until he was 5 years old. So Luke grew up training in Martial Arts. At the time, Blaine was a 2nd degree Black Belt in Tang Soo Do. Chuck Norris was a popular Martial Artist and action movie hero who also trained in Tang Soo Do…and we all know how tough Chuck Norris is! If Chuck Norris was doing it, they had to be on the right track. There was a small emphasis of Japanese Jiu-Jitsu taught in the school where Blaine trained so he taught his students this art as well. When Luke was about 7 years old, his father began working in the Secret Service. During his time in the Secret Service he felt that the Martial Arts he had learned was not as effective as he thought during non-cooperative subjects training scenarios. He then began exploring into other arts that could complement and enhance his Tang Soo Do. After his first year in the Service, Blaine was in a terrible auto-mobile accident. His late night shifts in the service got the best of him one morning when he was driving home and he fell asleep behind the wheel and crashed into a parked tractor trailer at over 60 miles per hour. Blaine was injured badly and spent about 3 months in the hospital. During his time in the hospital he flat-lined 3 times. Luke and his sisters Aimee and Brooke were brought in and told to say goodbye to him but thankfully Blaine was a fighter and he battled through it. Every boy who looks up to their father truly believes that their dad is superman. When Blaine first came home from the hospital, in Luke’s eye’s, he went from Superman to some skinny dude with a beard. He literally had his face wired back together and still wears the scars from that accident. Eventually, he was able to get himself back to good health and regain his Superman status! Martial Arts played a big role in Blaine’s recovery. His Martial Arts training taught him how to fight in more ways than one! When Blaine recovered and was able to continue pursuing his Martial Arts training he began exploring other Martial Arts. Through his research he found that Kenpo claimed to be a very street practical Martial Art. While Tang Soo Do was a very hard style that focused on power, Kenpo was a very soft style that focused on speed and explosiveness. It was a good compliment to his art. In time he received his Black Belt in Kenpo and began using Tang Soo Do, Japanese Jiu-Jitsu and Kenpo to form his own style. He liked to cross train and would also spar regularly with other Martial Artists like Kickboxers and learn more from them as well. In this span of time, Luke received his first Black Belt in Tang Soo Do when he was 11 years old. Even though they were mixing things up they still called their art Tang Soo Do. At the age of 14 Luke went on to receive his 2nd Black Belt. It was right around this time (early in 1992) that Blaine came across Gracie Jiu-Jitsu. This was before the first UFC! Due to his passion passion for real self-defense, Blaine was a quick believer in Gracie Jiu-Jitsu. Being that the Gracies were barely even existent in America at that time Blaine began training in Gracie Jiu-Jitsu from their GJJ Basics Volume one training series. Just a few months into training Jiu-Jitsu from video tapes, Blaine could see that he was able to easily overcome many years of experience in other Martial Arts. Blaine knew that Gracie Jiu-Jitsu was the real deal. as a kid breaking 3 ~1 inch pine boards with a spinning hook kick back in the Tang Soo Do days. Later on that year, the first ever UFC aired and Royce Gracie (the little skinny man in the video series getting choked and arm bared) was about to show the world what Gracie Jiu-Jitsu was all about. After the Rinehart’s saw Royce Gracie whip up on all these bigger guys and barely even get a scratch on him, they knew they had to continue learning and training in Gracie Jiu-Jitsu. Of course at the time, there was nowhere to train in Jiu-Jitsu so they just kept on learning from the videos. Jiu-Jitsu became a huge part of the Rinehart Martial Arts system. Eventually, Blaine named his mixed system of Martial Arts “Self Defense Tactics” and birthed Self Defense Tactics, Inc.. This system was a blend of all that Blaine had learned and proved to be most effective throughout his years of training. Of course after the first UFC, the Rineharts also began to train bare knuckle and with limited rules. Self-Defense Tactics was truly a Mixed Martial Arts (MMA) self-defense system before the term MMA was even born! They didn't practice, Tang Soo Do, Kenpo, Kickboxing or Jiu-Jitsu any more. What the Rineharts did was self-defense. Learning how to effectively defend yourself in every situation! The Rineharts had many Black Belt practitioners from other schools and styles come join them for bare knuckle, full contact fights in their basement. Self-Defense Tactics was primarily a club of men who wanted to grow their skills and test themselves on a regular basis in limited rules, full contact training. As No Holds Barred fighting became more popular Blaine and Luke began hitting up Royce and Rickson Gracie seminars, Joe Moreira and even Marco Ruas seminars. Self Defense Tactics was a very well rounded practical self-defense system. Eventually Luke received his Black Belt as an adult in Self-Defense Tactics. In 1997 Luke competed in his first BJJ Tournament which was the Ralph Gracie Open in Richmond, Virginia. Luke won my first 2 matches and ended up placing 3rd after losing to Ex -Navy Seal and Linxx Academy Owner, Frank Cucci. Frank went on to lose to Fernando Margarida. It was a great experience for Luke. Luke had never competed like this and had no idea what the rules were or even how to get point. He just knew that he wanted the submission. Eventually Luke began to compete some more as the tournament scene began to grow. In 1999 Luke was awarded his Chief Instructors certificate in Self-Defense Tactics and Freestyle Jiu-Jitsu through his father. By the year 2000 Luke was began to take over the teaching and business known as Self-Defense Tactics Inc.. Due to the intense type of training they practiced it was always a fairly small group of people. Not everyone wanted to fight and train like the Rineharts did. In the year 2003 Luke changed the business name from Self Defense Tactics, Inc. to The Clinch, Inc. You can read all about why He changed the name and what it means in this blog here. In short, the Clinch began to add in the sportive approach rather than JUST having a practical self-defense system. Eventually, Luke began offering classes that separated the striking from the grappling for the sake of competition. In 2003 and 2004 Luke won the N.A.G.A Battle at the Beach grappling Pro Division. It was a total of six matches and he submitted everyone opponent but one. In one of those same competitions, Clinch brought a team of 10 students and they left with 13 Golds, 3 silver and 1 bronze medal. Also in 2004 one of Clinch Academy’s female students (Erin Comstock) was the #1 Ranked female grappler in the Black Belt and Advanced divisions. The President of N.A.G.A was so impressed with Luke’s victories at Battle at the Beach that he invited him to fight in a Super fight against Pablo Popovitch in Ft. Lauderdale, Florida. Pablo Popovitch is the # 1 Ranked grappler in the USA. A World Jiu-Jitsu Champion and also World Abu Dhabi Champion! Although, Luke lost by decision, he went the full 10 minutes with Pablo and even felt that he pushed the pace for the most part. This was his 1st Super fight and only 21st competitive match while Pablo had all ready had over 200 victories under his belt. Pablo has beaten competitors such as Renzo Gracie, Gregor Gracie, Saulo Ribeiro, Kenny Florian, Diego Sanchez, Andre Galvao and Marcelo Garcia! Having trained with the Gracie's since he was five among many others Pablo had much more experience and many more titles than Luke. Here are some images from Luke’s Superfight with Pablo Popovitch. Keep in mind, Luke’s Brazilian Jiu-Jitsu training started out with his father and some video tapes. Although Luke has worked out with many different people, he has predominantly trained by himself (with his students) since the year 2000. As you will read below, Luke went on to earn his 2nd Degree Black Belt in Brazilian Jiu-Jitsu in 2011 without having a Brazilian Jiu-Jitsu Instructor and is currently in 2018 a 3rd Degree Black Belt. was the N.A.G.A #1 Ranked Female Grappler in 2004. Erin was Clinch Academy’s first Black Belt under our Clinch Combat Jiu-Jitsu system. Become Maryland’s 1st Shogun Fights champion winning the first Welterweight Title. Cole also held the record for fastest knockout in Shogun Fights knocking his opponent out in …seconds! was submitting BJJ Black Belts in no-gi tournaments and MMA fights as a blue belt. He went on to eventually get his Black Belt and has fought in Bellator Fighting Championships 3 times! In one of those matches he beat 4 X Black Belt World Cup Jiu-jitsu Champion Rene Nazare. 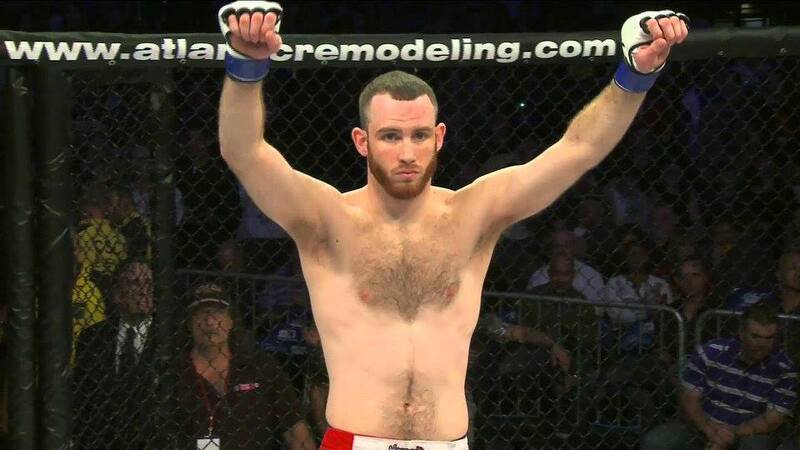 Jacobs brother Joey Kirwan also fought in Bellator winning his debut with a Darce Choke! walked into the Clinch Academy door one day and said, "I want to win the 2015 IBJJF Worlds". Jeff then took private lessons from Luke and Joe Hughes for 4 months prior to the 2015 IBJJF Worlds and he took 1st Place in the Blue Belt Super Heavyweight Division submitting all of his opponents! entered his first grappling tournament ever and as a blue belt and won the Grappler's Quest No-Gi Super Heavy Advanced National Championship Belt in 2010.
began training at the Clinch Academy at age 9. With a passion for competing and a goal to fight in the U.F.C. Jhondy has racked up and continues to rack up many, many belts and championship titles! These are just some of Clinch Academy’s highlights throughout the years but there are many other victories past as well as many more ahead! Years ago, Luke had a student Matt who lived in Woodbridge, Virginia where he discovered Master Leo Dalla and began to train with him. Matt introduced Luke to Leo Dalla and he was able to roll at his Academy a few times before competing against Pablo. Luke kept a good relationship with Dalla. On occasion he would be able to get to Dalla's Academy and train with his team. In 2011 Luke approached Dalla about getting an official Brazilian Jiu-Jitsu Black Belt. Luke never claimed to teach Brazilian Jiu-Jitsu because he didn't have a belt rank of any kind in it. Blaine and Luke always taught what they called Freestyle Jiu-Jitsu as it had fewer rules and restrictions than Brazilian Jiu-Jitsu and also was it’s own thing. Dalla helped Luke come up with a plan to get certified as a BJJ Black Belt. Leo said he didn't want to certify Luke personally because it would be a misrepresentation. Dalla told Luke that he learned on his own and that he should get his own credit for the accomplishment. So Dalla told Luke that he would validate him as a Black Belt through the International Brazilian Jiu-Jitsu Federation (IBJJF) for as long as has known him which was 6 years at the time. Luke then approached the IBJJF about how to become a certified Black Belt through them and after fulfilling all their requirements Master Dalla had to sign a validation claiming that Luke truly was a Black Belt. In October of 2011 Luke became a certified 2nd Degree Black Belt in Brazilian Jiu-Jitsu. When Luke started his family in 2005 he had taken a break from competing. In 2011 Luke competed again for the first time in 6 years at the NY BJJ Open. After 3 Matches Luke took 2nd place losing to Paul Schriener in the finals, who is another avid BJJ competitor that teaches under Marcelo Garcia. Clinch Academy is now under the umbrella of the “Big Brothers” Competition Team which is comprised of all of Leo Dalla’s affiliate schools. Left to Right…Leo Dalla, Vitor Shaolin Ribeiro, Adam Mcwilliams (1 of Luke’s Black Belts) and Luke Rinehart. Fast forward to current times…Clinch Academy still continues to do really well competitively in Brazilian Jiu-Jitsu and Mixed Martial Arts. Although Self-Defense and Competition are great, through the years Luke has come to realize that they are not where most of the value in Martial Arts come from. Sure we want to be able to defend ourselves one day if needed but hopefully we will never need to. Competition is fun and character building but most of us can only compete for a short time. The value lies in the everyday practice of martial arts. Martial Arts is a lifestyle that provides a healthy way of living along with a community of people that become like family. Realistically there are many more day to day battles which we face that Martial Arts can help us conquer than the BIG battles we might think we are preparing for. The values of Honor, Respect, Courage, Commitment, Dedication, Gentleness, Patience, Kindness, Perseverance, Humility, Confidence and Camaraderie are all practiced regularly when you train at an Academy that radiates them. Clinch Academy places a strong emphasis on the character building of Martial Arts. Not the kind of character building that promotes self, but the kind that promotes and works within community. The everyday practice of Martial Arts in a community such as Clinch Academy provides you with a Healthy, Fit and Confident way of life that is actually enjoyable to maintain! Currently Luke, his wife Caty and the Clinch Academy Staff are constantly working to make Clinch Academy the most professional, family friendly training environment possible. The Clinch Academy slogan is “Battle Tested. Family Approved.” . You can gather from the start of this story where the “Battle Tested” status comes from. Clinch Academy works to maintain that Battle Tested status by teaching and training at a level that equipes our students for battle if necessary. There are still classes available for those who are in it for the self-defense and competitive aspects. We continue to test! All you have to do is walk into the building to understand where the “Family Approved.” status comes from. Clinch Academy’s goal is not only to provide a place for competitors but also for the average Joe, the stay at home Mom, the CEO and little boys and girls to all be able to train. Clinch offers self-defense classes, Brazilian Jiu-Jitsu, Kickboxing, Mixed Martial Arts and Fitness classes for the whole family! Proficiency, Safety, Cleanliness, Camaraderie, Community, Health and Fitness are all high priorities in our practice. Clinch Academy strives to be the #1 place for Martial Arts Instruction, Health & Fitness as well as overall Personal Growth for you and your whole family!